Are you attached to your neighbourhood? Catherine Turton is a student at the University of Surrey and she would appreciate your input towards her research project investigating how Yorkshire residents feel about their neighbourhoods, participation in community activities and sustainable behaviour. If you have 10 minutes to spare, she would be very grateful if you could fill in a survey. Please click on the link below. Minutes of the meeting held on 9th December 2014 have been added to the document library – link below. What should be done with Terry’s Clock Tower? York Environment Forum is hosting an Open Forum at 7:00pm on Wednesday 21st January 2015. The venue is St.Chad’s Church, Campleshon Road, South Bank, and the aim is to find out what people think the tower should be used for in future. Whatever your interest in the building, come along and give us your thoughts. Kate Lock, Chair of York Environment Forum, has announced her intention to stand down from the position in order to pursue a new career in academia. Kate, who took over as Chair of the Forum from Jonathan Tyler in December 2010, has overseen substantial changes in the organisation, increasing its presence as the voice for the environment in York, improving its communications and online status, increasing its partnership work with City of York Council and other groups and steering the Forum to becoming a constituted body. 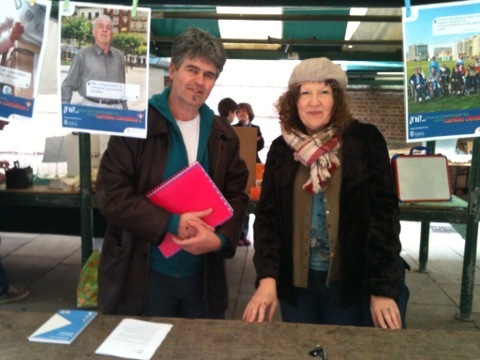 Environmental campaigner, writer and researcher Kate, 53, will be commencing full-time study doing an MSc in Sustainability specialising in Environmental Politics and Policy at the University of Leeds in September 2014. A new Chair will be elected at the forthcoming meeting on Tuesday 12 August. Applicants for the postion must be members of York Environment Forum (or prepared to join). 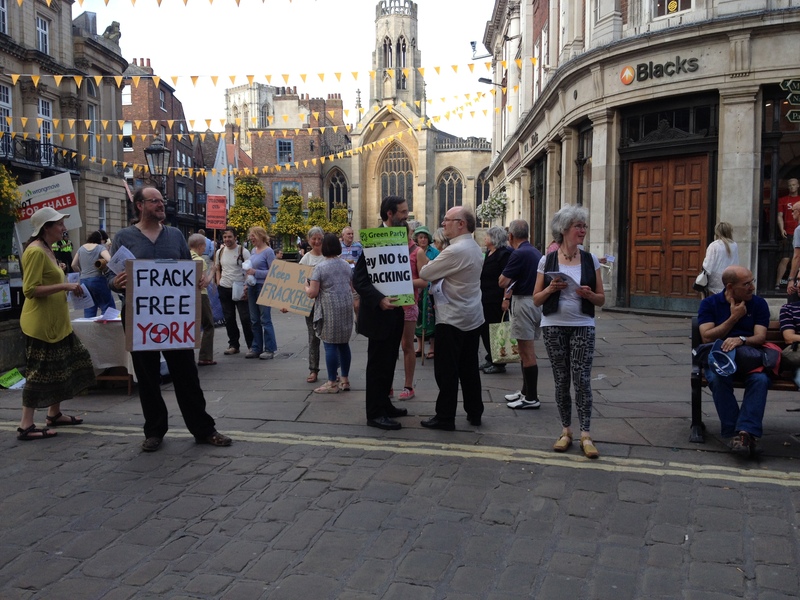 York Environment Forum added its support to Frack-Free York’s petition to City of York Council calling for York to remain frack-free at a meeting of the full council last Thursday, 17 July. The Forum had previously issued its own fracking statement to Council Leader Cllr James Alexander and Executive Member for Environment and Planning, Cllr Dave Merrett. YEF Chair Kate Lock was one of five public speakers that were each granted three minutes to speak to the petition; the other speakers were Richard Lane of York and Ryedale Friends of the Earth, Sue Lister for York Greenpeace, John Cossham for Frack-Free York and Christopher Rainger, Fellow of the Institution of Civil Engineers. You can view their speeches here (from 24.35 mins in) and read the text of Kate Lock’s speech . The council debate that followed was automatically triggered by Frack-Free York collecting over 1,000 signatures on the petition. Speeches last 30 minutes and can be viewed here. There was no vote on the issue, but most councillors spoke in favour of the petition, to varying degrees, with the exception of Cllr Joe Watt (Con) and Cllr Dafydd Williams (Lab). Chair Cllr Julie Gunnell, the Deputy Lord Mayor, thanked the public for their participation and said that the speakers and the petition had given councillors a lot of areas to think about and to research. Prior to the meeting a demonstration against fracking organised by Frack-Free York was held in St Helen’s Square, in front of the Mansion House. Other members of York Environment Forum joined in with the demonstration and subsequently packed the public gallery of the Guildhall’s main chamber to hear the council debate. The York Environment Forum was proud to join with the many community and other groups in the city to make its own banner for the City of York Council’s Dress to Impress initiative for the Grand Depart of the Tour de France. The banner project was organised by YEF’s treasurer Penny Bainbridge with help from members Ron Healy, Adrian Lovett and Bootham School teacher Harriet Ennis and the pupils from BEAST, the school’s environmental group, working with a community artist using the materials provided by the council for the community banners. The colourful banners were displayed on York’s bar walls, adding a vibrant and attractive element to the Tour de France street decorations and demonstrating the huge range of voluntary groups and organisations that are active in the city. 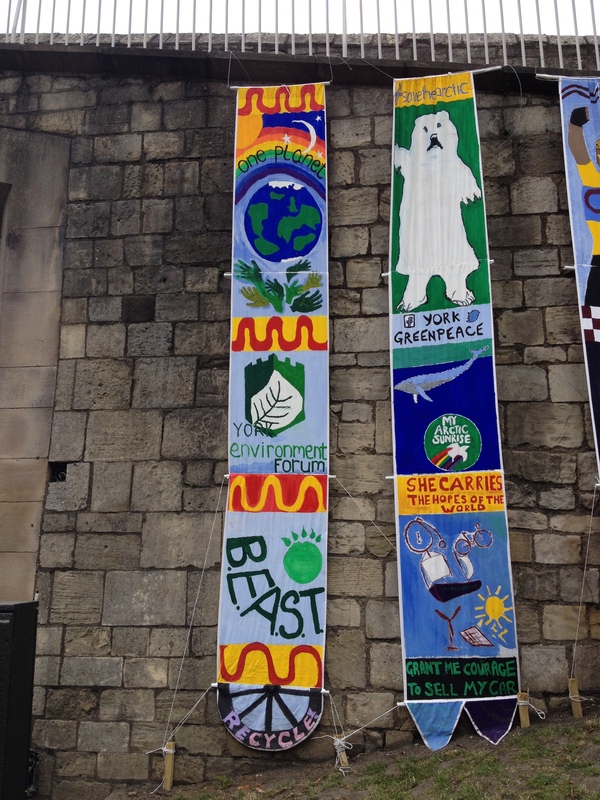 Our banner was hung in a prominent position on the archway through the walls from Lendal Bridge leading to York Station, and was next to a Greenpeace banner, which we thoroughly approved of! 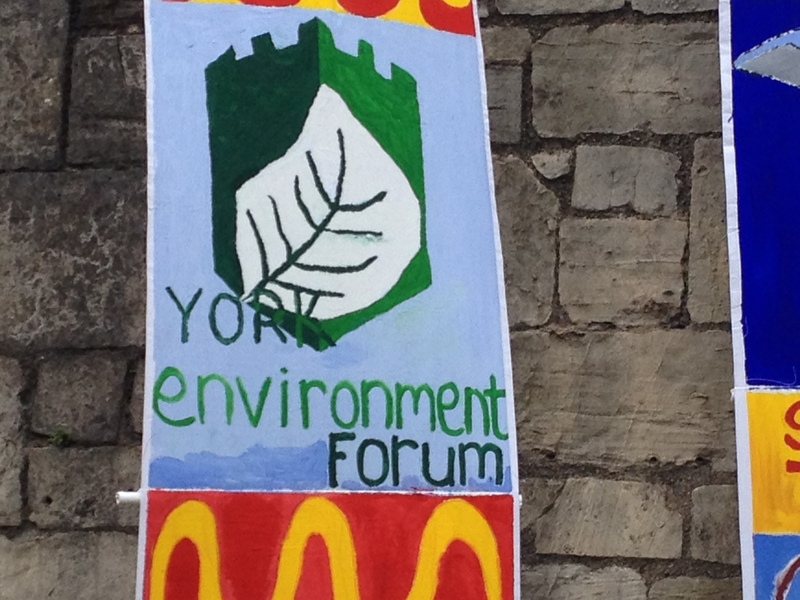 York Environment Forum would like to thank City of York Council for this great initiative and for taking such care to present the banners to the public. The banners have been taken down now, but will be available for public viewing an another location – check our Facebook page for an update on this.